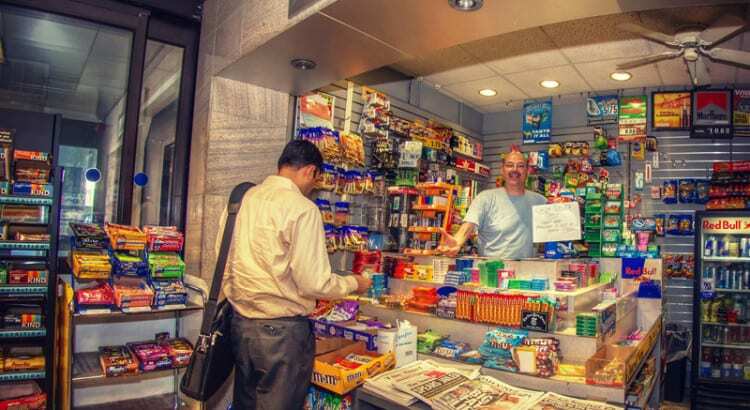 Any regular commuter through White Plains is likely familiar with Gary Waxman, proprietor of the station’s newsstand. And if you were a real regular, chances are Waxman even knew you by name. Last night, however, marked the end of an era – it was Waxman’s final day of work in the station. Years before Metro-North was even established, Gary Waxman’s father purchased the retail space for the newsstand in the long-gone Warren & Wetmore-designed White Plains station. The younger Waxman spent weekends working the newsstand, and ultimately opted to work there full time instead of heading off to college. 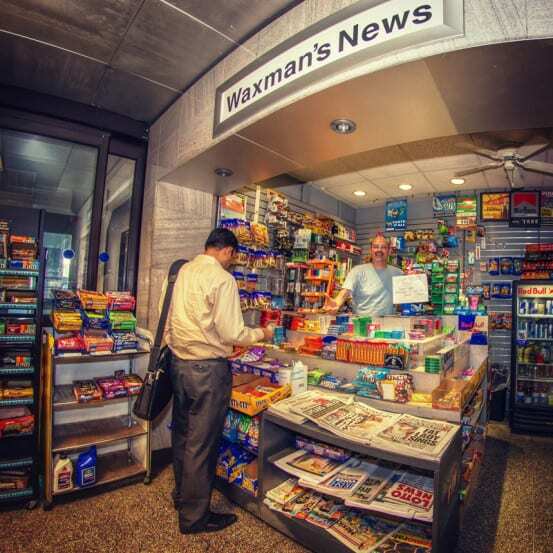 The elder Waxman bowed out of newsstand operations in 1986 due to illness, and Gary has run the business ever since. Much has changed since then, most notably the old station being torn down and a new one constructed in 1987. Waxman’s News was, of course, reestablished in the new White Plains station. Some final sales are made at Waxman’s News in White Plains. Alas, after many years Waxman has called it quits. With the rising cost of rent, and the falling sales of newspapers, Waxman opted not to put in a bid for a renewed contract with the MTA. Reunion Coffee, the other establishment in the station, also did not get a renewed contract and the space has been sitting vacant since January. Plans for a Tim Horton’s in the space have not yet produced anything, leaving many commuters disappointed. The transition for the newsstand, however, will be far smoother. 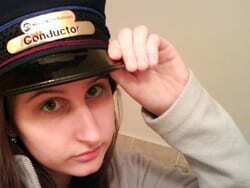 In fact, the new proprietor took over today. Undoubtedly some folks probably never even noticed, with the exception of some potentially higher prices, and an operator that didn’t know your name. Although his job is done, Gary Waxman made an appearance at the station this morning to bid regulars farewell. Tom Roach, mayor of White Plains, will be holding a small farewell ceremony at the station for Waxman this morning. President of Metro-North Joseph Giuletti, who met Waxman when hosting a commuter forum at the station in April, was invited to attend. Nice story, albeit a bit sad. Small business owners like Gary are in many ways the heart and soul (and history) of these stations. Time marches on, business decisions are made, but its a loss for those of us that interacted with Gary or his father. Great guy, awesome low cost sugar wafers…he will be missed by myself and many fellow commuters. Yep, apparently putting “Train Station White Plains” for location puts the placemark there at North White. I had to manually place it to get it in the right spot. Thanks for letting me know. Whilst the closure of the store is sad, I did like the fact that in your photo one of the newspapers on sale has the headline “Fat Lady Sings”; quite apt. i knew gary and his father for almost thirty years…i was a daily commuter at white plains station for 26 consecutive years…gary was a very good friend to me throughout this time… talking all the sports of the season each year….i miss him already although i now commute to work by car do not take metro north nearly often…i hear he “retired to florida”…i wish him a nice retirement! !